Two of the most popular CPA review courses are Becker and Wiley. Before selecting a review course, it’s important to carefully consider how each option stacks up against each other. You also need to consider how each course meets your personal learning style preferences. This article provides an in depth comparison of the most important features, options, and prices for Wiley CPA excel and Becker’s CPA review course. Becker’s course is probably the most well known CPA review course on the market. Becker Professional Education was founded by Newt Becker in 1960. Since the original founding, Becker’s CPA course has steadily grown through global partnerships with over 2,000 of the most well known accounting firms, government agencies, and corporations. Becker’s study materials are comprehensive and supported by nearly 60 years of experience. Because of Becker’s reputation, in certain cases students can actually earn graduate credit by using Becker’s study program. Becker’s flagship product is the Becker Bundle which includes comprehensive study material resources for all 4 sections of the CPA exam. Students also have the ability to choose individual section courses rather than a full comprehensive bundle for a discounted price. Wiley acquired Efficient Learning System’s CPA review course in November 2012 and re-branded the product as Wiley CPAexcel. Wiley is a global provider of prep course products for students in a wide variety of industries and has significant resources to invest in creating a highly effective CPA review course. Extensive database of practice questions (over 12,000 multiple choice questions). Ability to highly customize a product package based on your needs (individual courses and products vs bundled courses and products). Wiley’s premier course offering is the Platinum Course option which we will be comparing to the Becker Bundle course. Video Lectures: Over 100 hours of content. Study Material: Physical textbooks and electronic textbooks. Technology: Adaptive Learning Platform (Adapt2U). Practice Questions: 6,200 multiple choice & 380 task based simulation questions. Mock Exams: 3 mock exams per section (12 in total). Final Review: Online based course designed to efficiently focus the most important skills before exam day. Instructor Access: Unlimited electronic academic support. Unique Elements: Accounting for Empires game & Live Classroom Option. For more information about the Becker Bundle and a limited time 10% discount, click here. Video Lectures: 140 hours of video lectures. Technology: Exam planner, detailed diagnostics, and performance metrics. Practice Questions: 12,000 multiple choice and 300 task based simulation questions. Mock Exams: Unlimited number of exams. Flashcards: 4,000 print or digital flashcards. Final Review: Print or digital Focus Notes intended to highlight the most important concepts. Instructor Access: Professional mentoring with online support. Pass Guarantee: Free access until you pass. Unique Elements: Virtual Classroom Series. For more information, see our full review of Wiley CPAexcel. Becker offers traditional video based lectures with over 100 hours of content. Becker’s instructors hold a CPA license and have extensive experience teaching the course content. The lectures are organized around the core subject material covered in the textbooks. Wiley offers a greater amount of video content with over 140 hours. The content is organized around the idea of bite sized lectures which focus on shorter content delivered more efficiently. This is in comparison to a standard classroom lecture style which would require longer periods of focus. Wiley’s instructors are composed of university professors from accredited institutions with extensive teaching backgrounds. Keep in mind that Becker’s Final Review product includes additional video lectures and practice questions that bring the totals closer to Wiley. Becker and Wiley both offer physical textbooks as part of their courses. This is critical as I find that physical textbooks are better than electronic based textbooks when reading a large volume of material. I can’t prove it, but I also think you retain information better when you read it from a text book rather than from a computer or a phone screen. Becker stands out in this area as they offer an adaptive learning based platform. This technology includes a formal pre-assessment test that utilizes an algorithm to measure your starting strengths and weaknesses by subject area. Based on the results, Becker then structures a targeted study plan to most efficiently address your weaknesses. Wiley doesn’t offer a comprehensive adaptive learning program at this time. Instead, the course includes comprehensive tracking metrics to measure your progress by subject area. The main difference is that Becker offers a more individualized study plan whereas Wiley offers the same general study plan to all students. Wiley offers a larger database of practice questions than Becker, both in terms of multiple choice and task based simulation questions. Wiley includes over 12,000 multiple choice, 500 task based simulation questions, and 40 written communication questions. 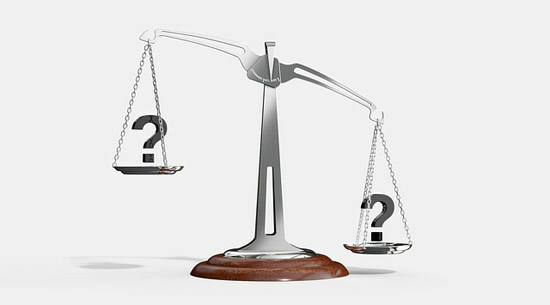 Becker offers a lower number of questions with 6,200 multiple choice questions and 380 task based simulation questions. However, one unique element of Becker’s program includes the CPA SkillMaster Videos. These videos are designed to offer students a video based explanation for task based simulation questions. Many students find task based simulation questions to be the most challenging on the CPA exam. By accessing these videos, you get the opportunity to see Becker’s professors walk you through the solutions one step at a time. Wiley comes out ahead in this comparison with an option for unlimited mock exams. Becker does offer 3 full mock exams for each section. You can also use Becker’s test question database to create your own exam simulations by increasing the number of practice questions in a given quiz. Becker offers 1,400 digital flashcards with the Bundle course. If you prefer printed flashcards, you can purchase them for an additional cost. On the other hand, Wiley offers you the option of 4,000 printed or digital flashcards as part of the Platinum course package. 40 additional hours of video content. 800 new multiple choice and 100 task based simulation questions. Lectures are broken up into shorter and more efficient sections. Wiley offers a Focus Notes product that includes the most important information to know before you take the CPA exam. The material is text based and includes acronyms and mnemonics to help you retain the material. Both courses offer extensive and helpful access to instructors for questions you have about the material. Becker allows students to post content related questions. These questions are answered within 48 hours from one of Becker’s instructors. You also have the ability to review archived questions and answers from other students. Wiley offers the same level of support from its staff of accounting professors. Students can post questions that will be answered within 48 hours. You also have the ability of viewing questions posted from other students. You might find out your question has already been answered within the archived information. Every prep course provider has a slightly different approach to their pass guarantee. Its very important that you read the full terms and conditions for each company’s policy. We give you a summary of both policies below. This program is designed as a tuition waiver for students who complete Becker’s review course, but don’t pass the CPA exam. 100% tuition waiver (excluding a $195 material and license fee per section). Required to have completed 100% of the Skills Practice and 90% of all multiple choice and task based simulation questions. Students that don’t qualify may receive a one-time 50% discount to repeat a course. Tuition waiver expires 365 days after issued. This program is more straightforward. If you don’t pass, you will continue to have free access until you do pass. Your not required to submit any information to receive this guarantee. Wiley provides everyone with unlimited course access. The main bundle course includes access to Becker’s unique Accounting for Empires game. The game is designed to engage your attention but also continually challenge you to build up your accounting knowledge in the process. 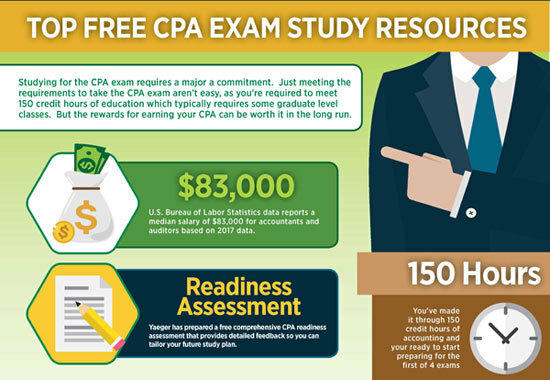 By no means is this critical for your CPA exam study plan, but it can be a really effective study tool. This is great idea to help your mind a rest in between studying the core material. Another really unique aspect of Becker’s program is the ability to take in person classroom training at various locations around the country. This is a big plus if you happen to be located near a major city that hosts one of Becker’s live classroom programs. However, if your not close by to a major city, I don’t believe it makes sense for you to try and make an in person lecture. Becker’s core material offers tremendous value and extensive content and you really don’t need to attend an in person lecture. Wiley’s answer to Becker’s live classroom program is a virtual option. This feature includes a mix of pre-recorded and live lectures focused on answering practice questions. Students have the ability to ask questions during the live classroom sessions from their home computers. These lectures represent great practical resources because they take students on a step by step approach to answering questions. You just don’t get the same level of value when you read written explanations to multiple choice or task based simulation questions. Becker offers tremendous brand name recognition and nearly 60 years of experience. Although you do pay a premium, Becker is the market leader and offers high quality material with an advanced learning adaptive platform. Click here for the 10% Becker Bundle discount. In comparison, Wiley offers an equally high quality program at a slightly lower price point. You have access to unlimited practice exams and a larger practice question database. Wiley also offers the ability to purchase the study material separately at an even lower price point. The final decision for most people is going to come down to whether you think it is worthwhile to pay a slightly higher price for the market leader that offers a more advanced adaptive learning platform and a live classroom option.